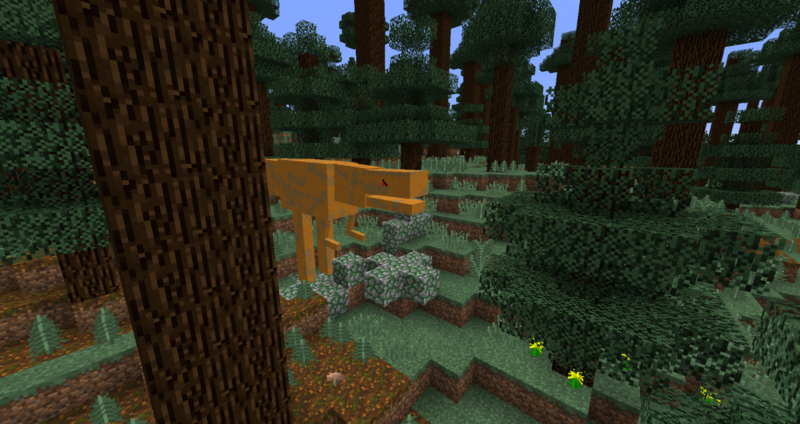 MeziCraft: 100+ Dinosaurs and Animals! Explore the dimension, by using an emerald frame! 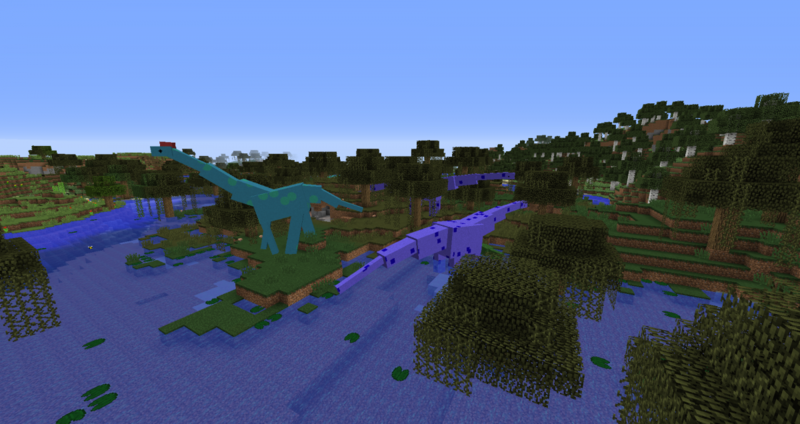 Sauropods co-existing in the swamp. 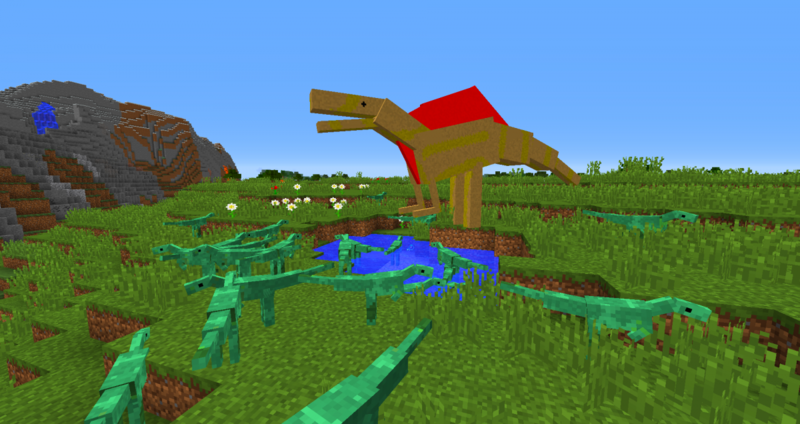 We have so much dinosaurs, more than 100! Have fun with our playful Diabloceratops, Fruitidens, and Dryosaurus, or run from Carnotaurus, Megalosaurus, Allosaurus, and the fearsome T-Rex! 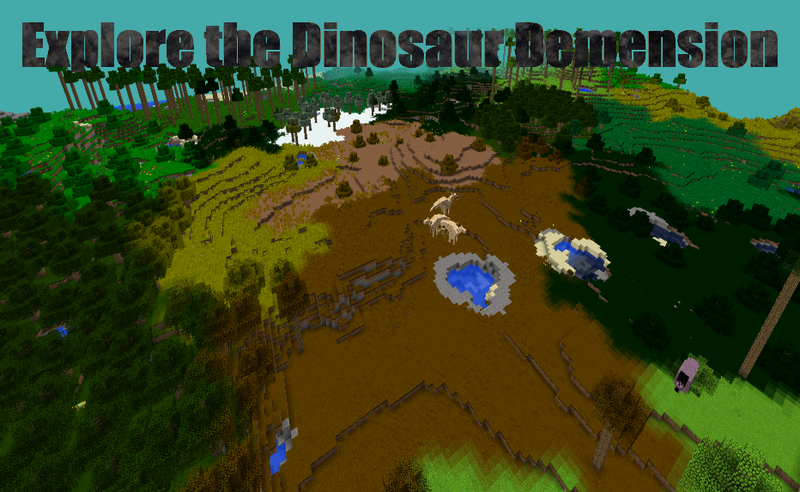 Also, we have a dinosaur dimension with 13 biomes! Use an emerald frame and the green saw thing in the tools menu called "Prehistoric Lighter". I hope you enjoy! NOTICE: Due to an error, MeziCraft will sadly not receive any more updates. Updates are in the changelog. Also if there is a glitch, or if you have any ideas, please notify me in the comments section! I am so glad to be on Mod of the Week! I understand my textures are not very good, so I will try to make them better! Dinosaurs are cool. Same with this mod. They look great. If you do better the models this mod will be VERY GREAT!